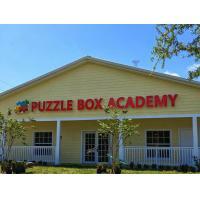 Puzzle Box Academy (PBA) is a private school in Brevard County, Florida, for students with Autism Spectrum Disorder and other developmental disabilities. 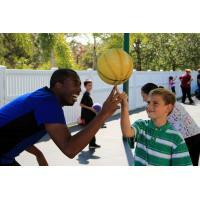 PBA is the first kindergarten through 8th-grade school in Florida to provide the Morningside Academy Curriculum and teaching style; in addition to following the Florida State Standards. The Morningside Model of Generative Instruction combines well-designed instructional materials, fast-paced classroom presentation, and focused practice on fluency. The results are expert and confident learners who apply skills and strategies to think about the world around them, continue to learn on their own, and solve problems of daily living. Each classroom is equipped with the latest in classroom technology, using interactive SMART boards for visual learners. PBA believes in a hands-on learning approach to schooling and is a year-round program that is open for academic sessions from 8:00 am to 1:00 pm. 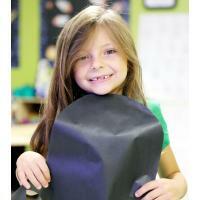 After 1:00 pm, the school is available for enrichment activities, academic tutoring, and therapeutic treatment. Our mission is to provide comprehensive, individualized, research-based education not otherwise available in our community. We believe children with autism and other developmental delays deserve the opportunity to reach their full potential. 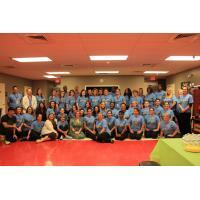 Our organization provides effective treatment and education programs to children through focused, purposeful repetition and reinforcement of individually-tailored goals.